This Smoky Corn Chowder is easy and filling! Homemade corn chowder is one of life’s simple pleasures and this corn chowder with sausage and chunky potatoes is pure comfort food. Smoky Corn Chowder is as it should be… creamy, chunky and loaded with hearty flavors, unless you happen to be my grandfather. He prefers smooth bisques to “soups that eat like a meal”. So when I served him a bowl of this one, he didn’t quite know what to do. He picked around the sausage, pushed away the potatoes and snubbed the fresh corn kernels, sucking up all the broth and leaving a bowl filled with all the good stuff. I questioned my mother about this and she simply shrugged her shoulders in “that’s just the way he is” resignation. My Dad, on the other hand, was beyond excited to find those chunks of kielbasa and vegetables, relishing every bite. So, depending on personal style, you may rave over my Smoky Corn Chowder or not. I’m solidly in the pro camp. The corn broth gives the soup a light sweet flavor that goes well with the smoky, meaty kielbasa. For this chowder, I only added a cup of cream. But you could add more – or less, depending on your will power. A sprinkle of smoked paprika or dash of hot sauce would be appropriate garnishes. This chowder is a chunky blend of corn, potatoes, vegetables and kielbasa, inspired by Mark Bittman's version. Use a sharp knife (or if you have one of those handy corn-stripping gadgets - use it) to slice kernels off the cob. Transfer kernels to a bowl and set aside. Place corn cobs in a large pot and cover with 6 cups of water. Bring to a boil over high heat and reduce heat to medium low. Cover pot and simmer for 10-15 minutes. Remove from heat. Remove the corn cobs and discard. While the corn is simmering, in a large dutch oven, heat oil over medium high heat. Add sausage and cook until browned and fragrant. Add celery, onion, potatoes and thyme bundle. Cook for about 5 minutes until onion and celery soften a bit. Sprinkle the flour over the vegetables and sausage and stir until the flour becomes pasty. Cook for about 1 minute, then add about 1 cup of the hot corn broth to the vegetable mixture and stir, scraping up any browned bits from the bottom of the pan. Continue to add the broth in 1 cup increments, stirring after each addition. Stir in the salt, pepper and reserved corn kernels. 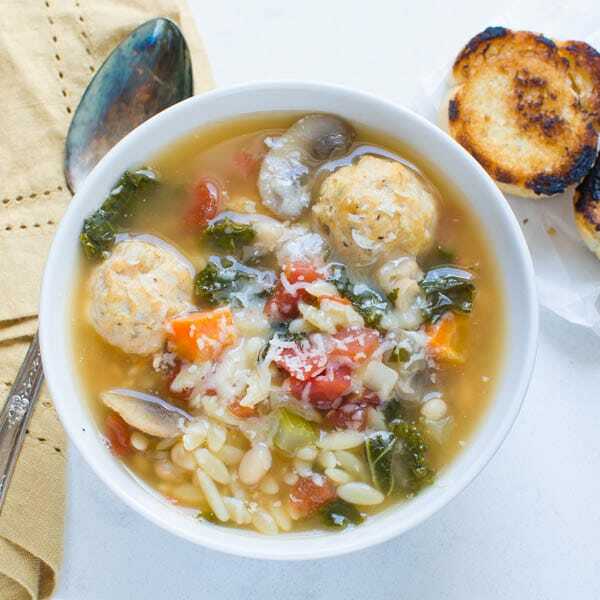 Bring the soup to a boil, then reduce heat to a low simmer. Simmer for 10-15 minutes or until the potatoes are tender. Stir in the cream and paprika. Serve. This recipe sounds great! One question, though. The instructions describe and photos depict sprinkling flour over the sauteed vegetables (for a roux), but the ingredients do not list flour. How much do you recommend adding? Hi JD! Nice catch! It’s 2 tablespoons of flour for the roux. Thank you for calling it to my attention. I’ve fixed it in the recipe. Have a great weekend! This corn chowder looks and sounds amazing. Pinned for later! I know that my husband would love this. I can’t wait to try it, this is right up my alley. Thanks, Traci — I think there’s a few houses for sale on our block! This chowder looks like such a comforting meal! Gosh I like soup all the ways. And I especially love that you use the corn cobs. SO much flavor in those! Waste not, want not, right Jeni? 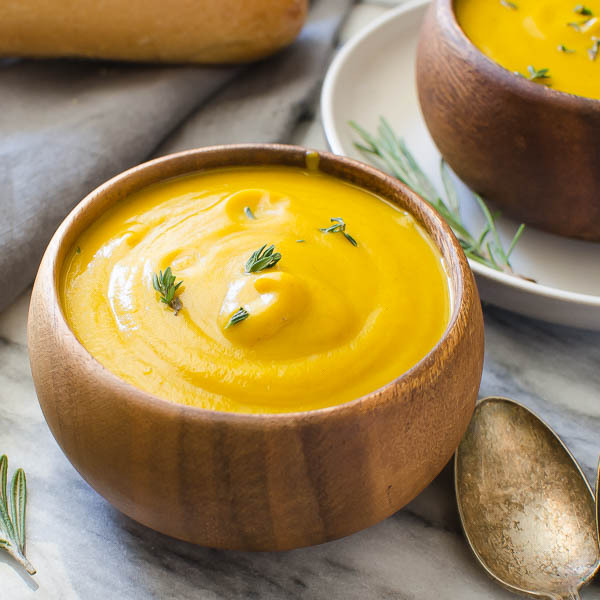 I love creamy soups as well, and this one looks fantastic! Perfect for these cold cold nights.